Low Web Prices - Fast Shipping! Our Mission Statement: Our job is to make YOUR job easier. We do this by providing comprehensive product information and over-the-top technical support. EmployeeTimeClocks.com is the internet division of Florida Time Clock, Inc., Established in 1991. 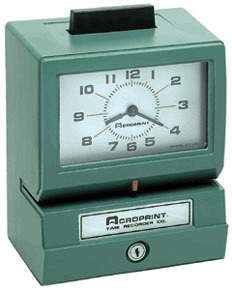 We sell employee time clocks, employee time systems, work shift timers, and guard tour systems. We provide service (repairs), technical advice, and decades of experience. We can help you get beyond time sheets once and for all. We specialize in time and attendance systems; from traditional punch clocks to web hosted time clock systems bu uAttend and Citadel clock, master clocks, work shift timers, shift change bells, and guard tour systems. We sell time clock buzzers. Our selection of timesheet technology, time clock ribbons, RFID badges and time clock time cards are the best you will find. We have a resident technician in NY. We repair amano MJR time clocks in the Albany NY metropolitan region. MJR service in Saratoga Springs, Clifton Park, Queesnbury and Warren, Washington, Fort Ann, Balston Spa, Burlington Vermont, Rutland, Schenectady, Hudson Falls, Fulton, Hamilton, Lake Placid, Catskill, Hudson, Troy. All other areas: We repair Amano MJR time clocks in our shop in Florida. We do on-site Hand Punch Repairs in Albany NY, hand punch repairs in Saratoga Springs, and that general region of NY.Saratoga Springs, Clifton Park, Queesnbury and Warren, Washington, Fort Ann, Balston Spa, Burlington Vermont, Rutland, Schenectady, Hudson Falls, Fulton, Hamilton, Lake Placid, Catskill, Hudson, Troy. All other Hand Punch service needs to be shipped to our south east office, Saint Petersburg, FL. Office hours: 7:30 AM - 8 PM, Monday-Thursday, 5PM on Friday. Our objective is to be the Internet's most comprehensive source of time clock system information. We believe we have accomplished that goal. We update this website every day. We hope that by providing you with everything you need to know to make the right decision, that we will win your business. We have personally tested these systems. We can also repair this equipment. Look closely at the product descriptions. Click on the links, print out pages and have discussions. We research the products and provide you with the details. Call us. If we do not know the answer, we will conference you in with someone who does. We are on your side. We have written our own custom installation and operation manuals for many time clock systems. If you ever have any follow-up questions about these products, even if it is beyond the warranty, give us a call. See our selection of master clocks, wifi time and attendance systems, web-hosted time clocks, remote time clock systems, and more. We stock all these, plus biometric clocks, facial recognition access control clocks, self totaling time clocks, and time clock parts. Joseph Wagner, founder (and still President) of this company was raised by an office machine dealer in Buffalo, New York back in the 1970's. Buffalo's a nice place, still, he moved to to California, then Florida. He built this time and attendance "time clock" business from the ground-up. Having the essential business skills, education and experience to do it - and not knowing how hard it would be, he started with zero accounts, cold-calling in 1990. Clueless, he marched on. This was the dawn of the age of PC's and the end of hand written time sheets. The old-school "timeclock" dealers could not make the change to the computer age, so most of them closed. You cannot avoid the future, so we helped develop it. 25 years later, we are drawing on a lifetime of experience - from cold-calling for new accounts, installing and training, making on-site service calls and improvising (inventing) while out in the field, to supporting operating computers from the original days of DOS through Windows, Apple, and Linux. Several of our systems run on all of these platforms. Our computerized time clocks export to .csv, ADP, Paychex, QuickBooks, PeachTree, Paychex Preview, Sage, Excel, Paychex002, and others, including Quickbooks for Canada. Call us if you do not see your export on the product information page. 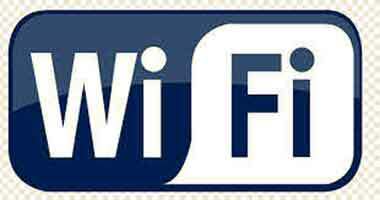 Our web hosted time clocks are easy to use and inexpensive to run. These powerful time clocking systems will organize your company! We stock the uAttend time and attendance system.. We sell and we repair, Schlage hand punch clocks. We have direct experience with the following manufacturers: Acroprint, Amano, ChipDrive, Citadel, Detex, Icon, Isgus, Lathem, Pyramid, Rapidprint, TimePilot, Time Sheets, uAttend, and Widmer. We understand and can help you chose between all the choices in punch clocks, self totaling time clocks, computerized time clocks, synchronized clocks, biometric clocks, fingerprint clocks, access control systems, master clocks, shop clocks, shop timers, watchman clocks, and we stock many time clock parts. We sell atomic clocks and the new Lathem 7500 automatic time clock. We sell Detex ProxiPen, TopGuard, JMC, JWM, and Detex Reliant Plus watchman clock systems. 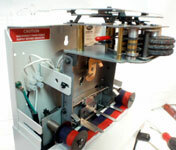 We stock time clock parts including Lathem motors, Acroprint motors, Rapidprint motors and Simplex motors. 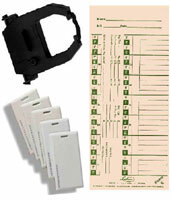 Also general acroprint parts, lathem parts, and other time clock machine parts. Jobsite Contractor clocks - construction clocks:...are designed to work out doors and remotely, like a remote time clock. Many of them run on batteries. 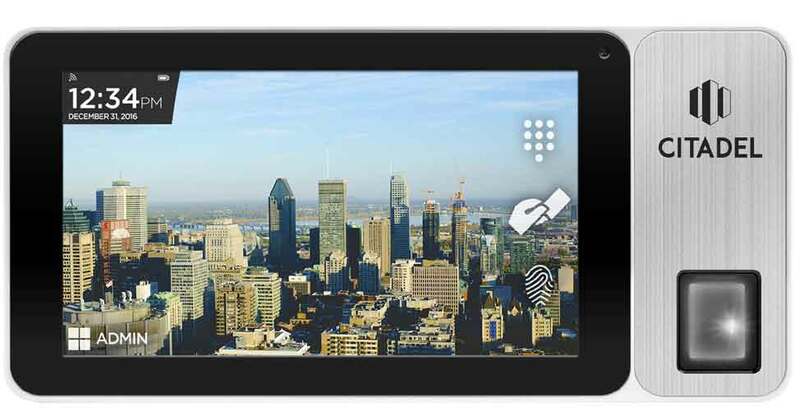 The Citadel tablet time clocks, uAttend smartphone app, Acroprint BP125 and TimePilot Extreme battery clocks do this. Run your business profitably - work with professionals.